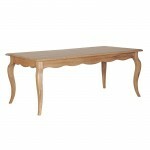 If you are after the perfect dining experience then browse through our unique and stylish collection of Dining Room Tables. There is a vibrant choice of dining tables which we can provide to help transform your home with one of these stunning items of dining room furniture. 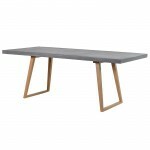 We have dining tables covering all designs to compliment your existing interior design, get quality with our Solid Oak dining tables, Solid Elm, Ash or a White painted dining table. 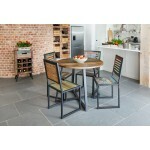 If you are looking for the complete makeover experience make sure you take a look at our dining chairs, which accompany most of these tables and other dining furniture to create the perfect space for you and your family. 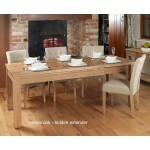 Here you will find a wide range of dining tables and dining table sets to suit all styles. 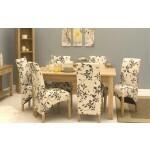 Shop online today and find white painted tables, black painted tables, and Ash, Elm or Oak dining tables and chairs. We are proud to stock a wide range of contemporary and classic furniture for your dining room and we ensure that we always offer the finest collections. 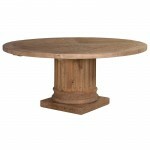 Whether you’re looking for a solid oak dining table and 6 chairs to seat the whole family, an extending table for dinner parties or a strikingly modern circular glass dining set for sheer style, you will find something here at Dooleys Furniture. 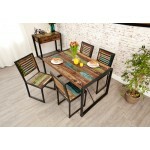 Because we pride ourselves on choosing only the best quality and style for our collections, you can be sure that you are shopping for the best dining furniture around. We know how important it is to feel comfortable and proud of the room that you dine in, day in, day out. Whether your dining room is used for every single family meal or you save it for special occasions and dinner parties, our wide range of furniture can deliver on style, quality and value for money. 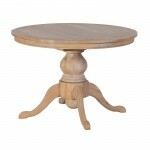 Shop online with us and you will everything from a French painted round table to a complete set with an oak dining table and six chairs.